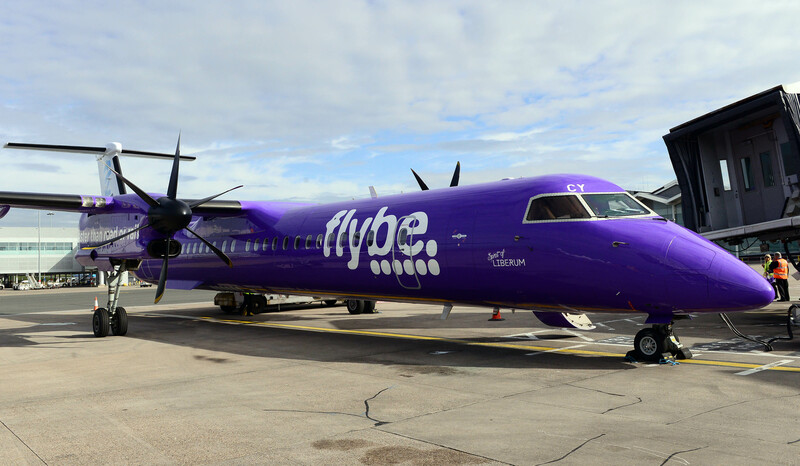 UK regional airline Flybe will soon be no more as it prepares for a £200 million investment from Virgin. Virgin Group, which also owns Virgin Media and Virgin Trains, purchased the airline for £2.2 million, and plans to invest £200 million to completely rebrand the airline and operate it under the Virgin Atlantic brand. Virgin Atlantic has been around since 1984, focusing on flying Brits across the Atlantic Ocean to the US, however it recent years it has tried to enter the UK short-haul market, which Flybe has a massive stronghold on. In 2013, Virgin launched 'Little Red', an airline which flew between London Heathrow Airport and a handful of destinations in Scotland, however this was shut down just months after launch due to low passenger numbers. Insiders suggest that Flybe will be Little Red's successor, and will allow Virgin to further compete with it's arch-rival, British Airways. British Airways is the main airline out of Heathrow, which is a position Virgin badly wants. Virgin and BA have always been number-one enemies, after a bitter Branson launched Virgin Atlantic following the collapse of Laker Airways, which was found out to have been directly caused by BA cutting fares to an unsustainable level in order to force Laker out of business. BA tried a similar tactic with Virgin, and even resorted to hacking into Virgin's booking systems to steal their passengers, however Virgin sued them and recieved £1.6 million in damages from BA. By absorbing Flybe, Virgin Atlantic will have instant access to 215 new routes, including Heathrow to Aberdeen and Edinburgh, which were both dropped by Little Red. Experts have also suggested that the acquisition is a direct response to British Airways' decision to become a low-cost airline, directly similar to Ryanair and easyJet. A Virgin rebrand will most likely mean Flybe's standards will match Virgin Atlantic's, which has been something Virgin has chosen to adapt and improve during British Airways' low-cost rebrand. This could give Virgin a massive advantage on it's new short-haul routes, and would attract business passengers and others who aren't interested in a cheap flight. Only time will tell if Virgin's new venture will work out. what do you think? do you prefer flybe or virgin? tell us in the comments below!